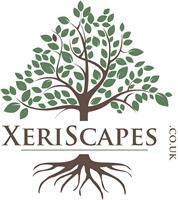 Xeriscapes - Alarms/Security based in Bordon, Hampshire. At Xeriscapes we provide technical and electrical services for gardens in the Surrey, Hampshire, Sussex and West London areas, including Automated Driveway Gates, Irrigation, Garden Lighting, Intercoms and Security cameras, we can help design and install. Fully qualified and insured we pride ourselves in high quality work and safe installations. We work primarily in domestic gardens and are happy to work direct with clients or as subcontractors for landscapers and building contractors that may not have the skills or qualifications needed to perform some work.